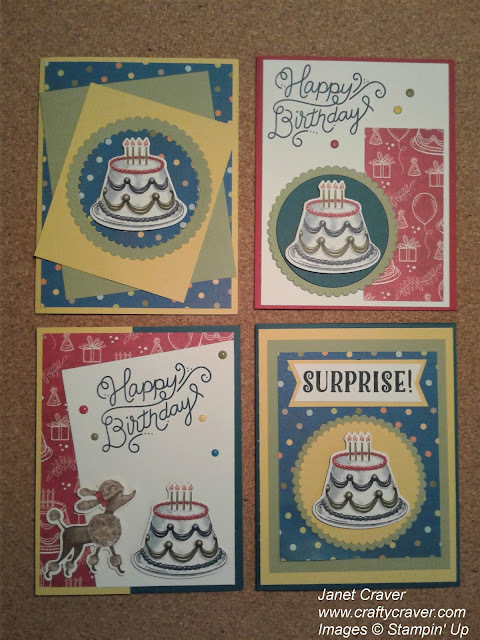 Last week I posted about using the Birthday Memories DSP as cards that would look similar to the Little Golden Books that some of us grew up with. 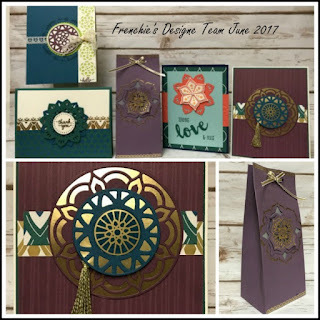 Well that bundle is so versatile that over the next few weeks I will have a post each week that uses this set and I will feature something different each week. Today, I will feature the big birthday cake. I have four cards for you. 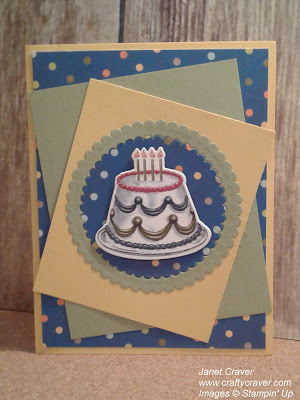 The cakes on these were die cut from the Birthday Memories DSP using the Birthday Friends Framelits. 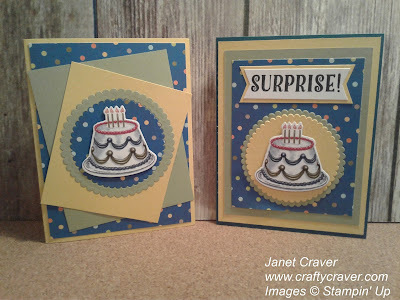 The colors of cardstock used on the first two cards below are Dapper Denim, So Saffron, and Pear Pizzazz. 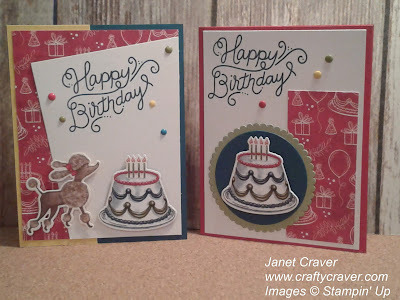 I used Memento Black ink for the SURPRISE stamp and on the inside of both cards I used the Happy Birthday stamp that comes with the set also in Memento Black ink. 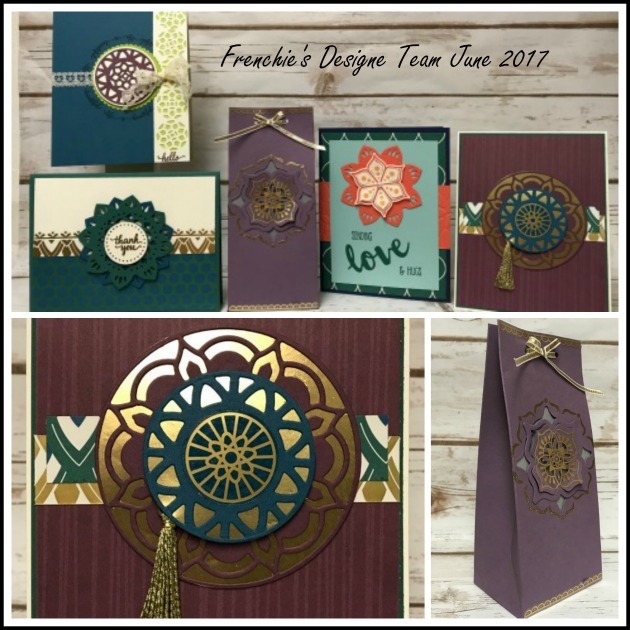 The colors of cardstock used on the next set of two cards below are Dapper Denim, Dapper Denim, Daffodil Delight, and Pear Pizzazz. 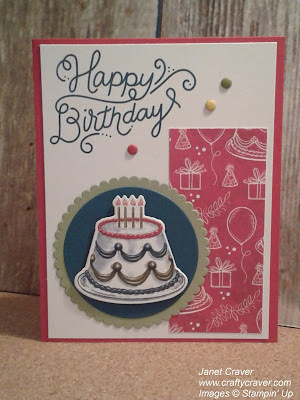 I used Dapper Denim ink for the Happy Birthday stamp that comes with the set . 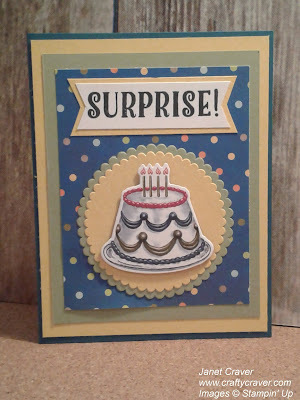 The inside of these cards are left blank so it will give you plenty of room to write your message. 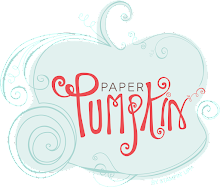 The little poodle is also die cut with the framelits from the DSP as well. 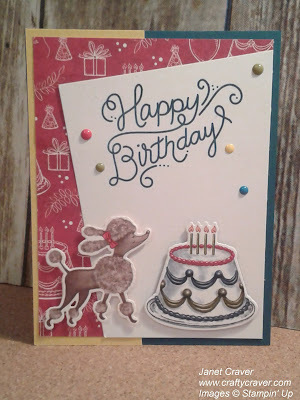 Both the cake and the poodle come with as stamps so that you could easily have stamped the images and colored them with your favorite coloring technique whether it is water coloring, makers, or even colored pencils rather than using DSP.